What will change about the eroFame concept? Earlier this year, the eroFame organisers initiated a survey in the interest of the visitors and exhibitors of the trade show. The goal was to establish if there was reason to change the established eroFame concept, especially with respect to the event location. To that end, the trade members were invited to state their opinion in personal conversations, via e-mail, or in a questionnaire. Representatives of the eroFame advisory board and exhibiting companies also met to discuss the concept of the international trade convention and its current location, Hanover. Most people were very happy with the existing concept, and as the organisers have already confirmed, there will be no big changes on that front. The discount system for exhibitors was also met with a very positive response. So come October, the participants will once again be offered free catering and free access to the ever-popular eroFame Oktoberfest, apart from free access to the fairgrounds and a free shuttle service. 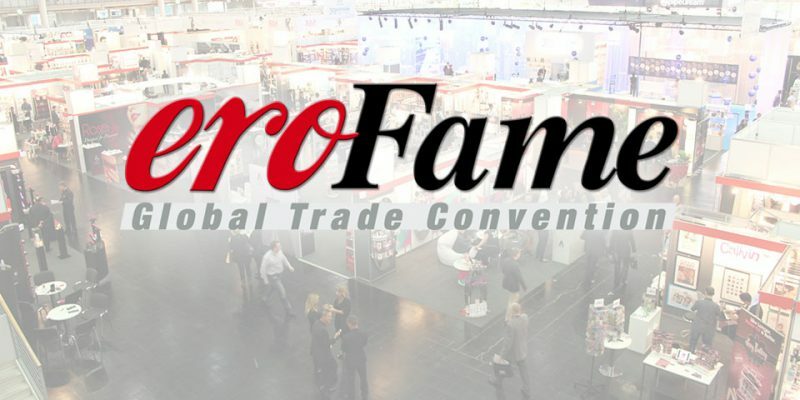 eroFame 2016 will take place on October 05 – 07 in Hall 2 of the Expo fairgrounds in Hanover. “Many people seem to be very happy with this location in the centre of Europe, and so are we. Only recently, US President Obama and chancellor Merkel visited Hanover for the world’s biggest industrial fair, a great event with the United States as a partner country. This shined an international spotlight on Hanover. And who knows, maybe we’ll be able do the same thing with eroFame in October …”, Hofmeister adds with a wink.